OpenTable owns no restaurants and instead, plays as the middle player between restaurants and customers in various cities around the U.S. and other countries. Today, OpenTable seats more than 23 million diners every month in 43,000 restaurants around the world. Why did OpenTable gain such popularity? Although companies like Airbnb and Uber own no real estate or vehicles, such platform companies have changed entire industries by making it easy for two or more constituents to connect and exchange value. OpenTable, a two-sided platform for online restaurant reservations, is no different. OpenTable owns no restaurants and instead, plays as the middle player between restaurants and customers in various cities around the U.S. and other countries. Today, OpenTable seats more than 23 million diners every month in 43,000 restaurants around the world. Why did OpenTable gain such popularity? 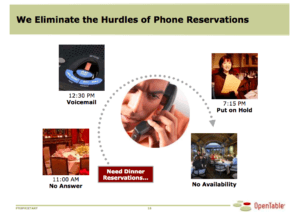 Before OpenTable’s existence, consumers used to have to call a restaurant and ask whether a particular time was available for their party number. If they were unable to make the desired reservation, they would repeat the process for another restaurant. This process was possibly repeated many times until the desired outcome was achieved. On the other hand, restaurants used to have to devote resources to taking phone calls, of which many did not even result in a successful reservation. In addition, before restaurants had computerized systems and the sophisticated software they use today, employees had to record the reservations by hand into a bulky book. Then, along came OpenTable, which promised to change the way customers secured restaurant reservations. See figure below, showing OpenTable’s view of the transaction cost problem that it solved. Figure 1. Open Table’s view of how it solved the problem. OpenTable sells online tools and services for restaurant reservations and customer reviews. It creates value for both the customer and the restaurant. Below is a more in-depth exploration of how OpenTable creates and captures this value. 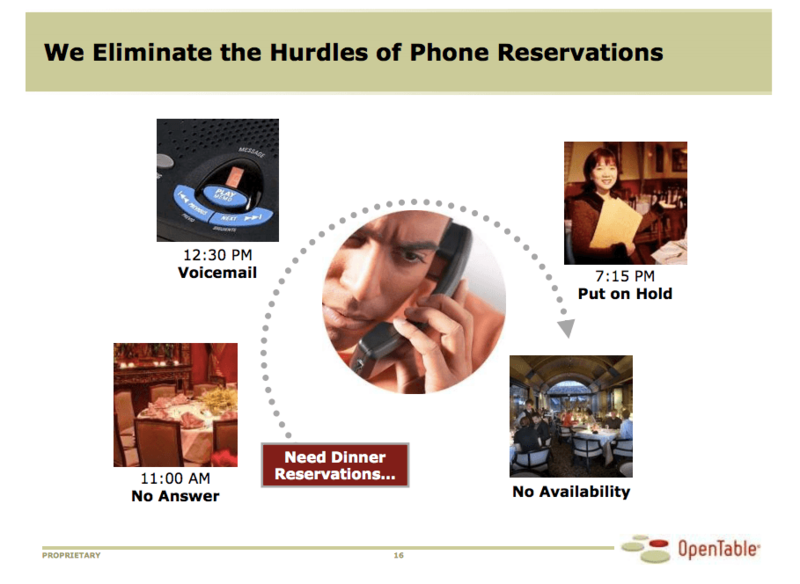 How does OpenTable create and capture value for customers? How does OpenTable create and capture value for restaurants? Creates an “ERB” or Electronic Reservation Book, which is a computer terminal that comes with software that allows online reservations and helps run seating arrangements, waitstaff arrangements, etc. Like any other platform model, OpenTable needs significant numbers of both customers and restaurants on its platform for it to work. Therefore, OpenTable started as a one-sided business by providing ERB software to restaurants. After acquiring enough restaurants, it developed a platform for customers to make reservations. Although there are two sides to this platform, the two sides pay dramatically different prices. Restaurants pay a one-time installation and training fee, fixed monthly subscription fee that enables them to be on the platform, as well as a fee every time reservations are made through OpenTable. Customers, on the other hand, do not pay to use the platform and can actually earn modest rewards that help reduce future bills at participating restaurants. So can this model survive? Due to the dramatic asymmetry in price paid by the two sides, it seems that OpenTable may be more valuable to customers than to restaurants. 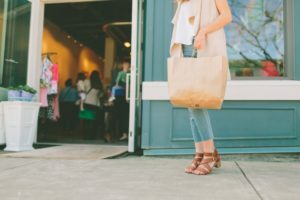 In addition, many competitors have entered the space, meaning that customers can multi-home, while platforms like OpenTable are fighting to maintain spots in popular restaurants. 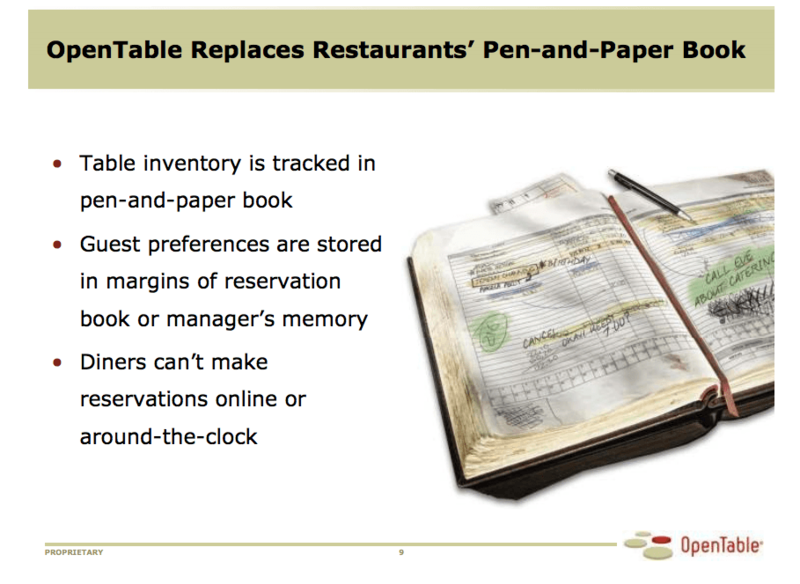 Just last year, OpenTable lost two hard-to-book New York Restaurants to Resy, another online reservation system. For now, OpenTable remains the dominant player, but cheaper reservations software may threaten it in the future. This is a very interesting topic! 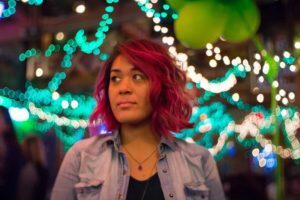 As a frequent OpenTable user, I’ve noticed that for most restaurants you can book on their website (powered by OpenTable) or you can book directly through OpenTable’s site. It may be a good strategy for OpenTable to try to increase stickiness with it’s restaurants by increasing traffic to OpenTable site as the first source consumers go to when considering where to go to dinner. As Resy become more popular, OpenTable will need to find ways to add value to consumers and suppliers on their platform, perhaps through unique experiences or special website features, to maintain market leadership. Great post – OpenTable has a real struggle and it seems to me they cannot compete with the same business model anymore. They need to ensure their app is the sleekest and their software for restaurants is the simplest. And I would argue that it is possible to achieve by constantly looking at the competition and innovating. But most importantly, they need to adopt the flat-monthly-fee model used by other reservation apps, which will make restaurants more willing to cooperate with OpenTable and consumer find tables at the peak hours (since some restaurants are now saving those “hot tables” for themselves to avoid paying OpenTable for something that will surely be booked anyway. Thanks for the post! Always interesting to think about a platform that I interact with often as a consumer. I think there may be an opportunity for OpenTable to defend their position in restaurants by making their ERM software stickier. 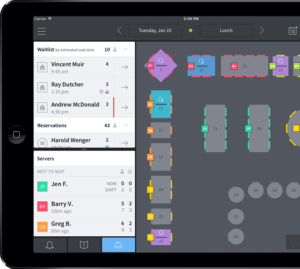 Right now, its just the front of house software, so it can be easily replaced and not massively disrupt the operations of the restaurant. But if OpenTable can build out additional software systems to support the kitchen – such as ordering software, or help the kitchens time the execution of dishes, that may deepen their relationships with restaurants and increase stickiness of their product. Great post! Another challenge OpenTable has is its ability to maintain restaurants in its ecosystem. In my personal experience, some restaurants (specifically trendy, upscale restaurants) are reluctant to allow for bookings on OpenTable because it tarnishes the exclusive brand of the restaurant. OpenTable will need to try and address this issue if it wishes to maintain higher end restaurants in its ecosystem. Thanks for an interesting post! As the market becomes more crowded and customers have high tendency to multi-home, I think Opentable can focus on the supply side to drive the whole network effect. As a customer, I don’t think I will be loyal to one platform, but will multi-home to see which one can help me book a spot in the restaurant I want to go, however, restaurant may have less incentive to multi-home because it is tedious to manage several booking systems at one time and they will just pick the one that brings them more value. I think Opentable can focus on the supply side, by considering improving the functionality of the ERB system, offer the system for free (especially to popular restaurants) or reduce the monthly subscription, to prevent new entrants from catching up. Thanks for a great post! In regards to your point about multi-homing, what are your thoughts on OpenTable’s points program and its ability to minimize multi-homing? Thank you for sharing. I never knew that OpenTable charges restaurants in so many different ways. It’s not surprising that they’re losing the hard to book restaurants in New York as you mentioned. The value proposition to the popular restaurant is limited. These restaurants are mostly booked and are already well-known. It actually makes more sense for OpenTable to even pay these restaurants to be on the platform and give them seats so that they could drive customers. My thinking is that soon OpenTable needs to segment their restaurant partners (if not already) top ones shouldn’t be paying them anything while less popular ones that benefit from OpenTable customer traffic pay more. I love OpenTable as a consumer, but as a restaurateur, the value proposition is much less compelling these days than it used to be. Some of this is due to the rise of new entrants as many former commenters have mentioned, but I think another important piece is the rise of influencers like Eater, Infatuation, TimeOut. I’d venture to guess that most consumers use these sorts of resources for discovery and purely use OpenTable as a booking platform. Because discovery is an important component driving the WTP for the OpenTable platform, I’d argue that this degradation is as important as the competition for the booking platform. In order to survive, OpenTable is going to need to take a deep look at other ways and places it can add value in the restaurant industry.